Payday Loans Lindale Texas - Get the cash you need today with a payday loan from Texas Star! The best things in life may be free, but everything else is going to cost you. While money cannot buy happiness, A Lindale payday loan can provide just the help you need when you’re deciding between putting food on the table and keeping the lights on. In just minutes, you can take an advance on your next paycheck and walk out of our store with cash in your pocket. Here at Texas Star Title and Loans, we offer payday loans that allow you to borrow money and repay the balance with funds from your next paycheck. Good credit, bad credit, or no credit, payday loan approval is not contingent upon the stringent guidelines often required by traditional lenders. Since our payday loans come with short repayment terms, we simply verify that you have the ability to repay your balance when it comes due. It’s our way of helping you bridge the gap when bills and other expenses just won’t wait for your next paycheck. Getting a payday loan is simple, quick, and convenient. Simply visit our Lindale location and fill out an application. Be sure to bring proof of income, a valid ID, proof of address, and a bank statement. We process Lindale payday loan requests quickly, often issuing approvals in just minutes. If approved, you could walk out of our store with hundreds of dollars in your hand to spend in whatever way you see fit. The next time you meet the end of your paycheck before you meet the end of your bills, consider a payday loan from Texas Star Title and Loans. 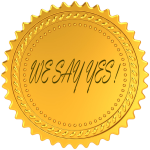 We want to say ‘yes’ to your cash request. Call us today for more information about Lindale payday loans and how you can make TODAY your payday. Stop by, Call or enter below for help with your short term CASH needs. We Hold your personal check or car title to help you get through your short term cash needs. Ask about our plan to keep you on track and out of financial debt!